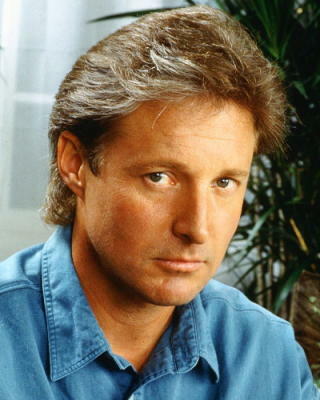 Bruce William Boxleitner is an American actor, and science fiction and suspense writer. He is known for his leading roles in the television series How the West Was Won, Bring 'Em Back Alive, Scarecrow and Mrs. King , and Babylon 5 (as John Sheridan in seasons 2–5, 1994–1998). He is also known for his role as the eponymous character of the Walt Disney Pictures film Tron, a role which he reprised in the 2010 sequel, Tron: Legacy. Boxleitner is best known for his leading roles in the television series How the West Was Won, Bring 'Em Back Alive, Scarecrow and Mrs. King , and Babylon 5 (as John Sheridan in seasons 2&ndash;5, 1994&ndash;1998). He also starred in The Gambler TV film series . In 2005, he co-starred as Captain Martin Duvall in Young Blades. He has also starred in several films within the Babylon 5 universe, including Babylon 5: In the Beginning , Babylon 5: Thirdspace , Babylon 5: A Call to Arms and the direct-to-DVD Babylon 5: The Lost Tales and on CHAOS . He has made appearances in many other TV shows, such as The Mary Tyler Moore Show, Gunsmoke, Judith Krantz's Till We Meet Again, Tales from the Crypt, Touched by an Angel, The Outer Limits and She Spies, and in 1982, he played Chase Marshall in the TV film Bare Essence, with Genie Francis. He also was a member of the cast of Heroes for seasons three and four, playing New York Governor Robert Malden in three episodes. He also appears on the television series Chuck as the father of Devon Woodcomb. He has also been in the made-for-television films The Secret, Hope Ranch, Falling in Love with the Girl Next Door, Pandemic, The Bone Eater, Sharpshooter and Aces 'n Eights. Boxleitner was a guest-star on NCIS in the fall of 2010. He played Vice Admiral C. Clifford Chase, a high-ranking Navy official. Boxleitner is also set to lend his voice to the animated version of his iconic character of Tron in the upcoming animated series Tron: Uprising. The series is planned to premiere on Disney XD in Summer 2012. He also reprises the character Alan Bradley/Tron from the films Tron and Tron: Legacy. He has also appeared in several films, including Tron and The Baltimore Bullet with James Coburn. He reprised his role in the Tron sequel Tron: Legacy and in the video game Tron: Evolution which was released alongside the film Tron: Legacy, as he did for sequel video game named Tron 2.0, and Disney/Square Enix crossover video game Kingdom Hearts II. He also starred as Confederate General James Longstreet in the 2003 film Gods and Generals. He provides the voice of Colin Barrow in the animated science fiction horror film Dead Space: Downfall, based on the video game Dead Space. Other films he has been in include Kuffs, The Babe, Brilliant, Snakehead Terror, Legion of the Dead, King of the Lost World, Shadows in Paradise and Transmorphers: Fall of Man. In 2011 he officially announced that he will reprise his role as Alan Bradley/ Tron in Tron 3 in 2013. From 1986-1989, Boxleitner appeared in advertisements for Estee Lauder's "Lauder For Men". Boxleitner has written two science fiction novels with a Western setting: Frontier Earth and Searcher . Boxleitner played a major role in the audio dramatization of The Great Secret, part of the Golden Age of Fiction series by L. Ron Hubbard. Boxleitner reprised his role of Tron/Alan Bradley in the video games Tron 2.0, Tron: Evolution and Kingdom Hearts II. Boxleitner's first marriage (1977–1987) was to American actress Kathryn Holcomb. They had two sons together, Sam and Lee. Holcomb went on to marry English actor Ian Ogilvy. Ogilvy also guest-starred on Boxleitner's series Babylon 5. After an on-and-off relationship, and two broken engagements with actress Melissa Gilbert, they finally married in January 1995. Gilbert also guest-starred as Boxleitner's on-screen second wife, Anna Sheridan, on Babylon 5. On March 1, 2011, Melissa Gilbert announced that she and Bruce had separated after 16 years of marriage. On August 25th of the same year the Associated Press reported that, based on court records, Gilbert had filed for divorce. Whole or part of the information contained in this card come from the Wikipedia article "Bruce Boxleitner", licensed under CC-BY-SA full list of contributors here.